There are a variety of attractions and hidden treasures in the Northwoods of Wisconsin and we know it can be hard to choose, so we decided to put together a quick overview of Minocqua&apos;s top attractions and things to do. 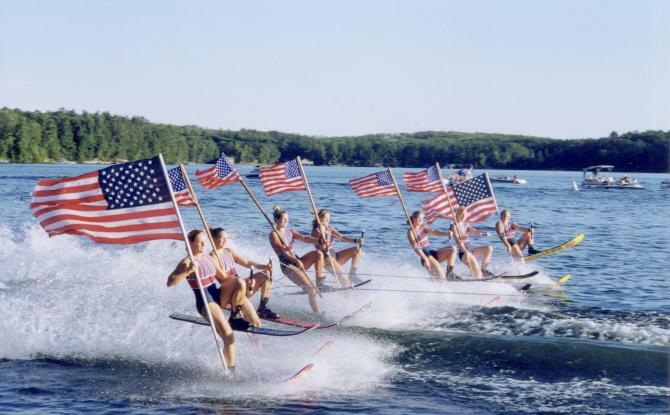 Head down to the Aqua Bowl on any Wednesday, Friday or Sunday evening at 7 p.m. in the summer and enjoy the antics of the world&apos;s oldest amateur water ski show team, comprised mostly of young, local people. The second largest zoo in Wisconsin offers up close and personal visits with a variety of creatures. 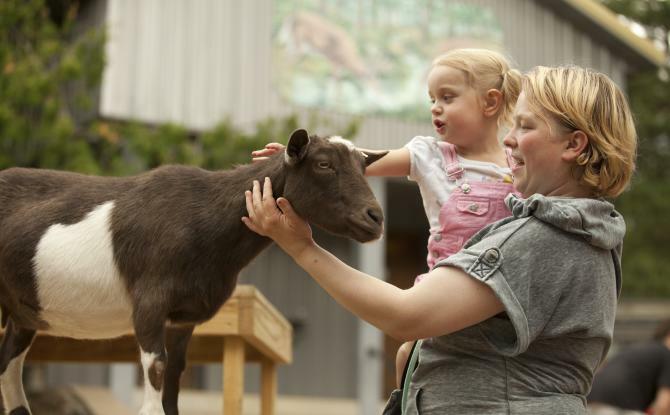 Fan favorites include the dozens of miniature goats that mingle with visitors and the Budgie Encounter with hundreds of extremely friendly parakeets. 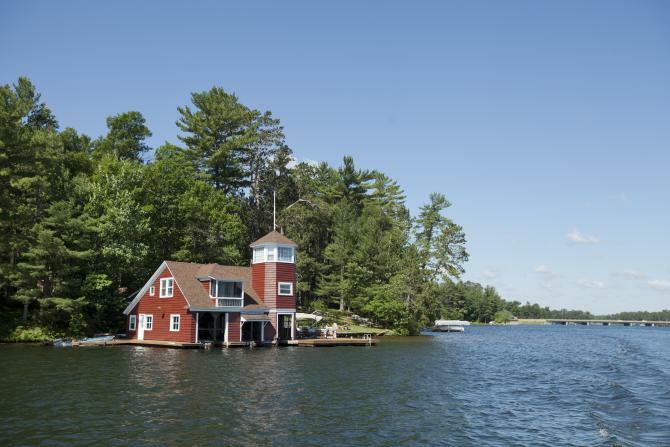 Cruise the Minocqua chain and view the beautiful boathouses that have graced the shoreline for nearly a century. The most iconic to the area may be the Eagles Nest, a stunning red boathouse on Lake Minocqua, visible from the Highway 51 bridge, south of town. 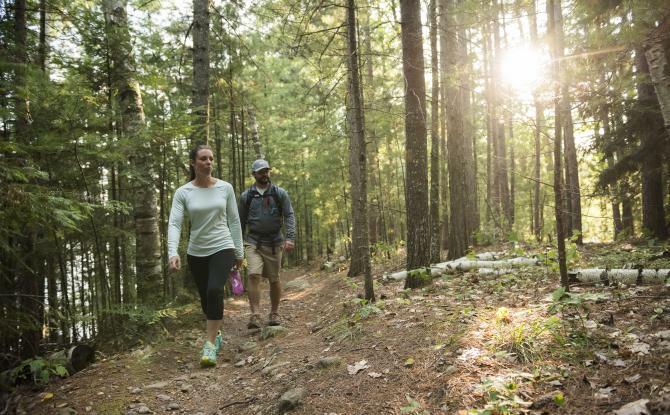 Covering 236,000 acres and more than 900 lakes, the NHAL offers endless opportunities for hiking, biking, cross country skiing and snowshoeing; plus paddling trails and canoe routes, campsites and more. Don&apos;t miss the 36-foot-tall statue of Paul Bunyan and Babe, his blue ox. 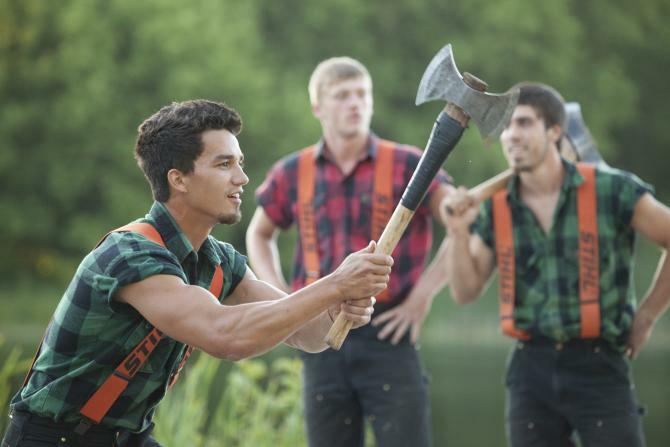 Be sure to bring your hearty lumberjack appetite for their all-you-can-eat breakfasts. Watch the entertaining antics of local athletes as they play baseball in wood snowshoes. The weekly games have been amusing visitors Monday evenings throughout the summer since 1961. 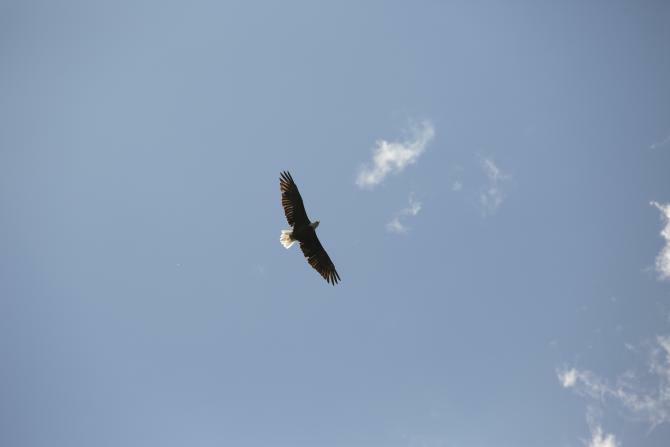 A symbol of our country&apos;s freedom, this majestic bird is a common sight in the Minocqua area. You can often see a bald eagle diving into one of the area&apos;s many lakes, fishing for its food. Their nests are easy to spot due to their tremendous size; typically four to five feet across and hundreds of pounds in weight. They often return to the same nest each year. 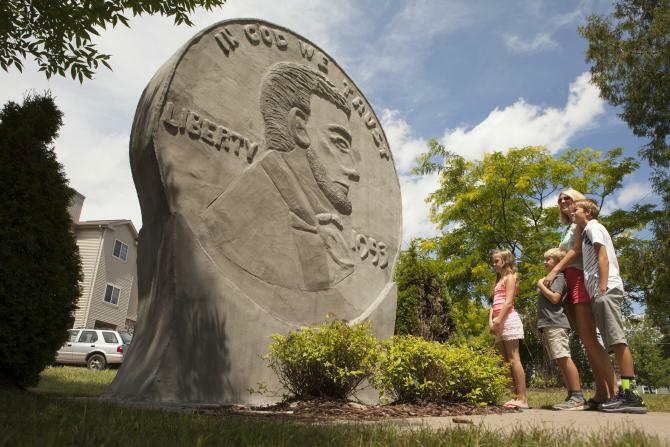 This gigantic coin celebrates the success of Dr. Kate Newcomb&apos;s effort to raise money for a new hospital. When she asked local school children to save their pennies in 1953, they responded with overwhelming enthusiasm and collected a whopping 1.7 million pennies! Watch as competitors duke it out in the "Olympics of the forest". 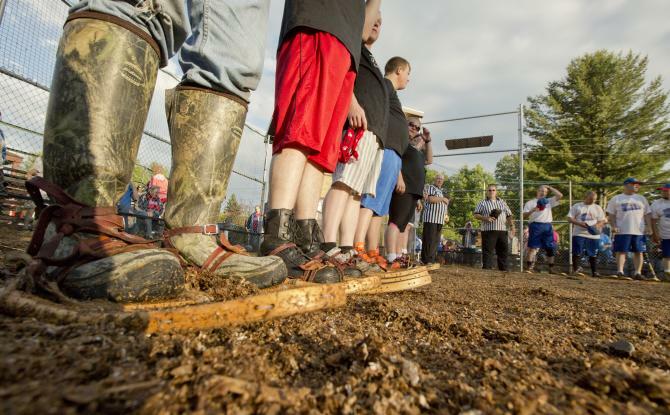 Comedy routines intermixed with classic lumberjack events of log rolling, pole climbing and more entertain crowds through the summer. Don&apos;t miss the kids&apos; Yo-Ho contest! Enjoy these eco-adventure tours where you "fly" 1,000 feet in the air over the forest, including a lake. 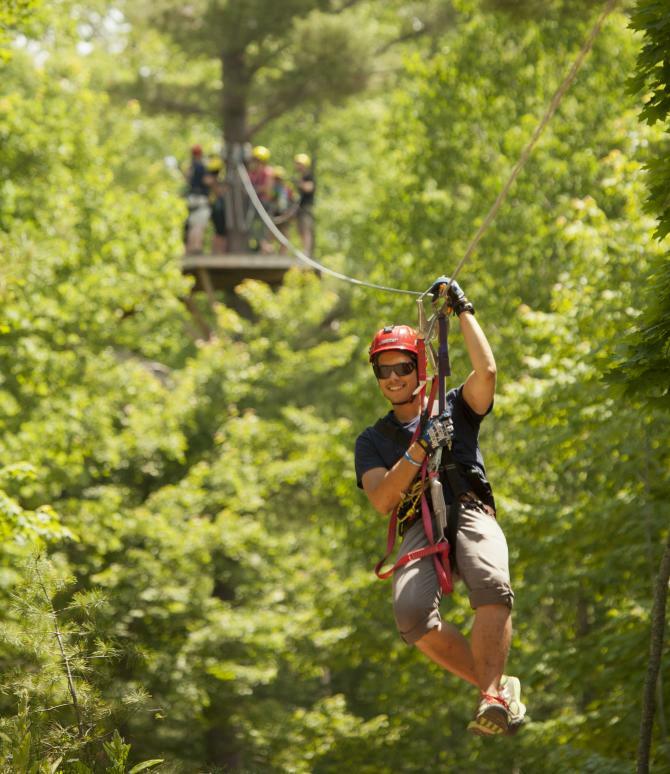 In addition to zip lining, you can explore a number of other tours, including an aerial trekking tour, off-road Argo ATV tour or kayak the Tomahawk River on a guided tour.